Barry Manilow Celebrity Look Alike-Lookalike Impersonator Tribute Artist. He performs throughout the state of Florida and the Nation at all the best “tribute” venues, country clubs, performing arts centers, vacation destinations, etc. 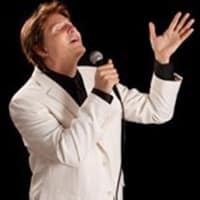 The Barry Manilow Celebrity Look Alike-Lookalike Impersonator Tribute Artist Band is scalable – we recommend the full 7 piece band including professional dancers and the top musicians in the south, for the true Manilow Tribute Artist concert experience. If your budget is limited he can also perform the show solo with an accompanist. This is his passion, he does not perform as anyone other than Manilow. This is as close as it gets to a real Barry Manilow show! Barry Manilow (born Barry Alan Pincus; June 17, 1943) is an American singer-songwriter and producer. He is best known for such recordings as “Mandy”, “Can’t Smile Without You”, and “Copacabana (At the Copa)”. As well as producing and arranging albums for other artists, including Bette Midler and Dionne Warwick, Manilow has written songs for musicals, films, and commercials. From February 2005 to December 30, 2009, he was the headliner at the Las Vegas Hilton, performing hundreds of shows before ending his relationship with the hotel. Since March 2010, he has headlined at the Paris hotel in Las Vegas. He has sold more than 80 million records worldwide, making him one of the world’s best-selling artists of all time. On July 4, 2013, he performed live on the west lawn of the U.S. Capitol as part of A Capitol Fourth on PBS.